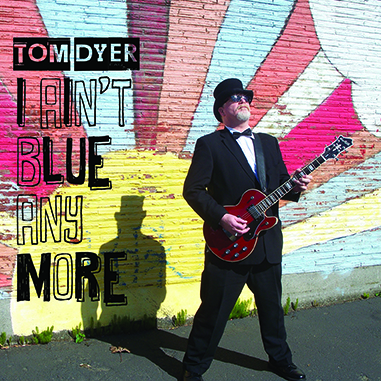 A one man band of the old school, Tom Dyer's been around awhile and still rockin'. His recordings are just the way he wants them because he plays all instruments, sings all tracks and records and master his own work. Dyer wrote them all with the following exceptions: Smithsonian Institute Blues (Or The Big Dig) by Captain Beefheart, John The Revelator (Traditional) and The Witch by Gerry Roslie. Nice job on the Beefheart, but "John The Revelator" (a personal favorite) is the standout. Original composition "Pass The Jug" is my favorite of all the tracks. 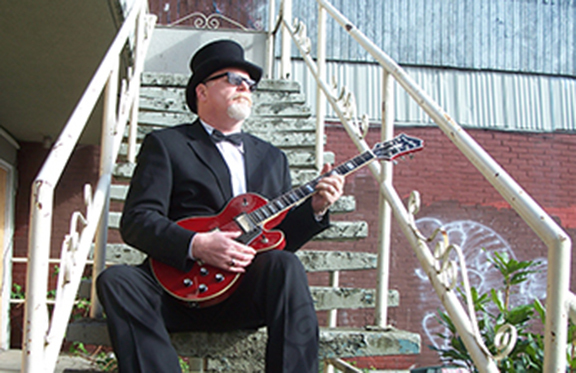 If you like your rock raw and bluesy, you'll like this guy. I Ain't Blue is Dyer's eighth album and I will be looking for the earlier ones, which I am told are far more eclectic than this. 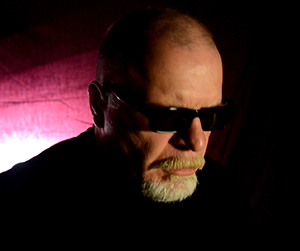 Among his other achievements, Dyer is president of Green Monkey Records. As well as being recording and mastering engineer for many Green Monkey releases, he directs videos for the label and serves as art director for many of the productions. Knowing the music business to be an iffy thing, Tom Dyer has a regular job as well. He is president of Argosy University, Seattle.